JPE’s memoir launch draws guests from six presidencies! Note several ironies, including evening’s civility among top political leaders who could be stiff enemies come 2013. Appeal to bring in the professionals applies to mining industry and China problem---both complex and needing deep study, not knee-jerk solutions. Last night’s launch by Senate President Juan Ponce Enrile of his autobiography, a collaboration with professional biographer Nelson Navarro titled “Juan Ponce Enrile---A Memoir,” at the Manila Peninsula Hotel drew around 700 guests. It was a gathering as few events have drawn in the past, nor will in the future. This is because the 88-year old celebrant’s public career spanned 50 years---which has seen him politically hyper-active in six presidencies! In fact, I cannot think of any other living individual who can make such a claim as the durable poor boy from Cagayan who morphed, as he put it, “from Juanito Furraganan, to Juan Ponce and on to Juan Ponce Enrile”---one of the most riveting but also frightfully controversial political personalities of contemporary Philippines. JPE said in his speech that his life story represents “the twists and turns of the long and bumpy road I had travelled;” but it also happens to be the bumpy story of the Philippines in modern times. JPE wound it up by wondering “what lies ahead in the borrowed years of my remaining life." The Filipino nation, with all its unrealized potentials and complex problems, could share that wonder as we try to divine its future. In fact, I thought that in last night's glittering gathering of the Who’s Who in our society could be gleaned in snapshot the history of our country. Seated with JPE in in the center were the current officialdom, namely, President Aquino, Vice-President Binay and Speaker Feliciano Belmonte. Nearby sat former President Estrada (who's running for mayor of Manila), GMA's former VP Tito Guingona and looking anxiously over the shoulders of JPE, hanging on to every word uttered by the man who had once betrayed her husband, was Imelda Marcos, sitting directly behind Cristina Ponce Enrile. The only other major political figures of the past two decades still around but absent from last night’s gathering were JPE’s partner in crime vs. Ferdinand Marcos, former President Ramos, and ailing former President GMA, who’s confined under bail in her La Vista home. Outside the center’s cluster, the ballroom was filled with people associated with the past six presidencies and the vast zoo of political parties over the decades. Walking about at the Enrile launch was, in fact, somewhat like political sleepwalking---the journalist’s problem was how to ensure he connects the right face to the right administration. I’ll not repeat here what’s found in the 740-page JPE Memoir, that costs P1,650 a copy. Rather, what’ I’d like to cite are the rich ironies of last night. As Oscar Lopez, the patriarch of the powerful Lopez clan, put it, it shouldn’t be lost on people that what he terms the “among the foremost victims of martial law”---which was his clan---should now be publishing JPE’s autobiography. That's because, said Oskie, ABS-CBN Publishing wanted to put a "human face" on those past events. Neither should it be lost that the guest speaker, President Noynoy, had ordered at the recent 40th anniversary of the proclamation of Martial Law a review of how that dreaded era is being presented and remembered in our time---especially in our schools and history books. As I stated in my FB page earlier, it would be most interesting to see how the "revised" version of ML as ordered by P-Noy could be reconciled with the first-hand account of JPE in his book. As P-Noy weighed in on ML in his prepared speech, the Marcos widow, Sen. Francisco Tatad who read Proclamation 1081 into history, and JPE, who was to morph from chief implementor of ML to initial dismantler of its dictatorship structure 14 years later, were all eyes and ears. It wasn’t also lost on me---and I’m sure on other political analysts in that ballroom---that sitting all in a row were the inevitable protagonists for 2013: the ruling LP coalition represented by the President, Franklin Drilon, Paquito Ochoa and other allies of P-Noy, vs. the United Nationalist Alliance (UNA) of VP Binay, former President Erap and JPE, now termed the "Three Kings" of the so-called "United Opposition." Last night they all looked like one happy well-mannered family, but that’s going to be short-lived when the bell rings (which will be next week when UNA presents its senatorial candidates at its grand convention). Arcilla laid down several premises. One is that our country is immensely wealthy in mineral resources. W're the 5th most mineralized country in the world, and in some places, it's said that when they give out gold medals in school, it’s solid gold. Diwalwal has the 4th largest gold deposits in the world, and last year Ph was the second largest exporter of nickel. Unfortunately, said Dr. Arcilla, the government does not have the full resources to explore our mineral wealth, so it needs local and foreign investment to realize its full mineral potential. The problem, however, is that “the exploration gamble of business”---or the rate of success “from prospect to successful mine, is only estimated to be 8-10%. Too small to be encouraging. But he also cites countries such as Australia, New Zealand, Sweden and even Malaysia and Indonesia that have current and past mining activities, “but have been able to derive some good from it.” In fact, at the forum he showed examples in other countries of mining exploration side by side with tourism sites, or veggie farms and reforestation. So it can be done. The issue of equitable sharing of profits between the state which owns all the mineral properties, and the mining companie which are the “subcontractors,” always figures in the dispute. He asserts that there’s good reason to believe that if mining companies paid their taxes directly to the local governments where the minerals are extracted, instead of to Imperial Manila, the situation could be lessened. 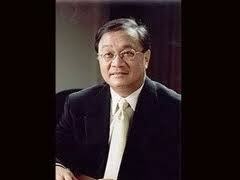 The Aquino administration talks of raising the government share from 2 percent to 7 percent. One practice that does a lot of harm to our natural resources and the mining industry, Arcilla admits, is small-scale mining, “which is not always ‘small’, “ e.g., more than 70 percent of the gold produced by our country are mined by small-scale operators. The problem with small miners, he stresses, is that they don’t pay taxes, pollute the environment (especially with use of mercury that flows into our rivers and seas, killing the fish), use child labor and work in dangerous conditions. He argues that even if we were to stop large-scale mining, the accessible mineral deposits would be mined anyway by small-scale operators. Dr. Arcilla stressed that because our country is still developing, we need all the help we can get, and it is UNCONSCIONABLE not to use the great advantages offered to us by mineral wealth. Responsible mining must be encouraged. 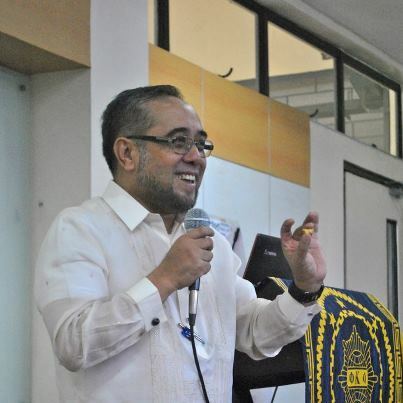 But to solve the small-scale mining problem it does not help, he said, that the President’s recent EO 79 and its implementing rules and regulations were done “almost in utmost secrecy” and without consultation with people who can help, such as the scientists and engineers from academe. The UP-NIGS director gives EO 79 the benefit of good intentions in protecting the environment, but the problem, he says, is that “it tries to please everybody and it lacks a deep scientific and technical backstop.” He cites as example the moratorium currently imposed by the EO on new mining agreements, which could, he opined, actually hurt exploration efforts by mining companies as well as the future employment of graduates of Geology, since it could cause many exploration companies to cease operations. The lesson here, as in our China problem, is: let’s involve the professionals. UNA leaders’ verbal assault on Trillanes, whom P-Noy appointed as back-channel negotiator, presages battle between ruling LP and UNA---eight months before 2013 elections. Falling-out between MVP and Ateneo stems from conflicting mining views. UP Geology Institute Chief Arcilla says that in conflict with China, we should query it: Do you want our nickel or not? Ph is nearest source of nickel for China. I agree with Sen. Miriam Defensor-Santiago that Senate President Juan Ponce Enrile---who launches tomorrow afternoon at the Manila Peninsula his autobiography, "Juan Ponce Enrile: A Memoir," mainly spanning his 50 years of public life---has nothing to gain in pulverizing further Sen. Antonio Trillanes. Despite surveys purporting to show that JPE’s popularity has surpassed that of Manny Villar and even the legendary Jovito Salonga, he would reach the point of diminishing returns if he doesn’t hang up his gloves vs. Trillanes. In fact if he goes on, JPE would begin to make a martyr of the coup plotter (which is what Trillanes wants, to ensure his reelection). 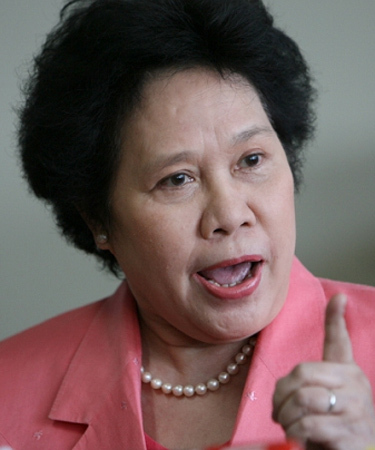 So JPE should heed Miriam and shut up now, if he knows what’s good for him. The recent fireworks in the Senate do not only indicate a clash between the aging institutional leader and the brash and arrogant upstart. It’s clearly also a battle between the Liberal Party coalition and the United Nationalist Alliance---a full eight months ahead of the 2013 elections. Note that after JPE's expose and assault of Trillanes, former President Erap Estrada, who heads the Partido ng Masang Pilipino (of which JPE is chair) and his son Sen. Jinggoy Estrada weighed in, accusing the neophyte senator of ingratitude and disrespect toward JPE. Two days ago Vice President Jejomar Binay, who chairs the PDP-Laban, also started verbally punching the guy. Don’t forget that the PMP and the PDP-Laban are the two main pillars of UNA. It should also be recalled that President Aquino finally admitted the other day that he appointed Trillanes as back-channel negotiator with China; hence, in the Trillanes fiasco, the buck stops with P-Noy. Thus, by hitting Trillanes, JPE and the other UNA bigwigs are actually attacking P-Noy and showing him up to be an incompetent leader and even Trillanes’ co-conspirator in the China issue. This issue that could involve Philippine sovereignty is what lawyers with naughty minds like Alan Paguia are thinking of exploiting as ground for P-Noy’s impeachment---except that the House is fully controlled by his allies, so it would be a suntok sa buwan. What’s easier to foresee this early is a coup in slow progress vs. JPE in the weeks leading to the elections---so that Congress would be in the hands of the LPs by then. Whether the coup would succeed is another question. The withdrawal by business tycoon Manny Pangilinan of his long-standing support for his alma mater, the Ateneo de Manila University, brought into sharper focus the plight of the mining industry in this country. MVP’s beef against the university, aside from its support for the Church’s stand against the RH bill, is its continuing negative attitude toward mining, reflected as early as its November 2011 mining conference, to which no officials from the Chamber of Mines of the Philippines (COMP) were invited. A Jesuit paper titled, "The Golden Mean in Mining: Talking Points," reportedly written by no less than Jesuit Provincial Jose Magadia, was supposed to provide guidelines for intelligent thinking on the industry for its members and affiliated organizations; but it's viewed outside as predominantly negative. That conference in Ateneo de Manila was repeated earlier this year in the Ateneo de Davao where an international conference on mining was held; a foreign guest speaker liberally criticized the operations of the Tampakan copper-gold project in South Cotabato, but not a single official of the Sagittarius Mining Co.---which has invested heavily in that mining exploration for a few years now and promises to be the biggest single foreign investment in Ph once fully operational---was invited---despite the company's request for attendance. MVP’s protest against Ateneo’s anti-mining stand came in the wake of the recent mining summit sponsored by COMP, which protested certain provisions in the President’s recently issued EO 79. In COMP’s view the EO amended, sans legislative action, the 1995 Philippine Mining Act that was upheld by the SC. A major objection of the industry to this EO is the controversial Sec. 9, which, said COMP, cuts the maximum 50-year period for projects, in violation of the Mining Act, and instead subjects the second 25-year period to “new terms and conditions pursuant to the law, rules and regulations existing at the time of the renewal…” COMP has threatened to go to court over Sec. 9, and it appears that the administration has relented, by letting the Mining Act provision stay, probably for the meantime. EO 79, however, subjects new mining applications to a moratorium, but COMP maintains that this would dampen the enthusiasm of foreign companies. This is because they would have to sink so much capital into exploration---without any guarantee of seeing their project to full fruition. Thus, COMP foresees that given the new restrictions in EO 79, the projected $2 billion income of Ph from mining for this year---estimated to total to $16 billion income for the entire Aquino administration---may not materialize. All these recent developments reflect continuing tension between noisy environmental anti-mining groups on the one hand, and the controversial mining industry on the other---with the government trying to do a tough tinikling between them. The newly-formed Bayan Ko Konsensya Ko (BKKK), led by lawyer Tranquil Salvador, thought we'd help seek some light on this controversial industry. At its maiden forum last week, we invited as one of the speakers Dr. Carlo Arcilla, Director of the National Institute of Geological Sciences at the UP, and his talk proved very relevant. Arcilla weighed in on the raging “China” problem by saying we should just remind our giant neighbor of one word--- “nickel.” He stressed that in its full-throttle drive toward industrialization, China sorely lacks three minerals, which Ph has in immense quantities: nickel, iron ore and copper. But most of all, says Arcilla, China needs nickel, of which Ph is one of the richest and nearest---sources (next to Ph, there's Indonesia). With a telling smile the NIGS Chief says, “We should tell China: 'Do you want our nickel?' "
To put it differently, he queries: "Can responsible mining and exploration of the immense mineral wealth of the Philippines (we're said to be the fifth most mineralized country in the world---BOC)) be conducted while minimizing environmental damage?" In other words, "Is environmentally-compatible mining possible?" This question becomes so relevant today because Philex Mining, the country's largest gold mining corporation, which is held up as a model in environmental compliance, currently suffers from a massive tailings spill that threaten several rivers (reports put the rehab bill at P1 billion, but informed sources say it could run up to several billions). UP-NIGS Chief Arcilla continues: Because mining is an “extractive temporary land-use process (i.e., one takes out the minerals from the earth, which means they're not infinite) how can we ensure that there'll be “equity” in mining? Meaning, “why must many of the mining regions of our country that have undergone mining remain poor, generally?” Is this because mining is bad in itself?" My own query to Dr. Arcilla at the BKKK forum: If we have so much mineral wealth in our country, why are we still poor? Whether Trillanes offered himself or China asked for him is immaterial---the buck stops with P-Noy. With his world network of connections, JDV would have made an excellent back-channel to China. As Fr. Rannie Aquino puts it, “the trouble with using the front and back doors is that people could bump into each other.” Let’s hope MVP does not throw in the towel and retreat to HK. Today it appears that the Palace turned around from its earlier hands-off stance---that stressed that it was Sen. Antonio Trillanes who “offered” his mediation services with China to President Aquino. In an interview with media yesterday at Fort Magsaysay, P-Noy finally acknowledged it was China that asked that Trillanes act as back-channel for the Philippines in the Scarborough Shoal issue. But whatever it is---whether Trillanes offered himself or China asked for him as back-channel---the buck stops with the President. P-Noy agreed and allowed the most junior senator, who has never exhibited much cerebral capability nor does he have the experience to undertake such a sensitive---and secret---mission for him and the country. Sadly, this young former army officer whose main reputation is pulling off failed coups, obviously carried out the secret back-door negotiations without coordinating with the “front agency,” the DFA. The result is the chaos we now have on our hands, making us the laughing stock of the diplomatic world. Fr. Ranhilio Callangan Aquino, Dean of the San Beda College Graduate School of Law and VP for academic affairs of the Cagayan State U, and eminent columnist of the Manila Standard, was one of two guest speakers at the maiden forum of the new civic organization called “Bayan Ko Konsensya Ko” (BKKK), and he opened his talk with this topic that the entire nation---and doubtless all of ASEAN and some parts of the world---cannot stop talking about. We all know about the message Sen. Trillanes delivered to the Chinese, about Scarborough not being important to the Filipino people, and the like---definitely not the same message that the country’s top diplomat, DFA Secretary Albert del Rosario, sought to deliver from Phnom Penh onwards. Back-channeling is both an art and a science as ancient as mankind. It has been used extensively not only in diplomacy and international relations, but also as problem and conflict-solving in other fields and endeavors as well---e.g., in winning contracts, securing appointments, in espionage and even in love, courtship and marriage. As Star columnist Chit Pedrosa pointed out in Facebook, a friend recalled how US President Richard Nixon used super-diplomat Henry Kissinger to literally pass through China’s back-door, Pakistan, in 1971, at a time when there were no diplomatic ties between the giant Asian nation to the North and the US. Eventually this led to the establishment of US-China relations. Former President Macapagal Arroyo realized the importance of back-channeling on an OFW about to be hanged in Kuwait. From what I recall, GMA was on a state visit to Spain at that time and King Juan Carlos of Spain offered to do some back-channeling with the Emir of Kuwait, his good friend. The King’s efforts paid off, as the OFW was saved from the gallows. I can understand why P-Noy succumbed to the inveiglement of Trillanes to appoint himself as back-door negotiator, for there was a point when we thought we’d go to war over the Shoal---the Chinese with battle-ships and we with a weather frigate! But instead of that young man who’s obviously touched with what a columnist noted as megalomania, P-Noy could have tapped some senior people, such as former Speaker Jose de Venecia who would have done a marvelous job of it. For one, JDV is legendary with persuasive powers; then too, his contacts in China and around the world have always been the stuff of fable, as he has been chairing a number of international organizations that count with political parties in power as well as those waiting in the wings. Such groups show the interconnectivity of our global world, which would be useful in reaching out to China on the Scarborough issue---or to friends of China to whom its leaders cannot say no. I recall joining then Speaker De Venecia and wife Gina in a visit to Beijing and several other cities in China in January 2008 (just three weeks before JDV was sadly ousted from the Speakership). The reception JDV got was akin to that of head of state---most impressive. Back-channeling, however, is a most delicate task that involves experience in the craft of state, mature judgment, discreetness and lots of inner reliance---attributes that would enable the “secret” negotiator to closely coordinate with the DFA Secretary, on equal stature if necessary. JDV is by no means the only one who could fulfill the role of behind-the-scene statesman, but it confounds me why he and such other citizens remain untapped by this administration, whereas a neophyte and blubber like Sen. Trillanes is entrusted with most sensitive tasks. This controversy puts into question the competence of this administration. P-Noy had better get more competent officials to run this country---as the consequence would be for our people and our neighbors to lose faith in it. As Tribune columnist Jing Paras put it, P-Noy's administration will be regarded as a "Mickey Mouse" government. A sorry side-consequence of l'affaire Trillanes is his accusation that entrepreneur Manny Pangilinan and Secretary del Rosario are playing the US hand in the China-Ph controversy, on account allegedly of their business interests in the disputed West Philippine Sea. This angered MVP and provoked him to consider throwing in the towel and retreating to Hongkong where his head office is situated. His verdict: it’s so “unruly” here. One can’t blame him for thinking so, for if we ordinary citizens find our situation now so chaotic, what more of big business that can only thrive on order and stability. 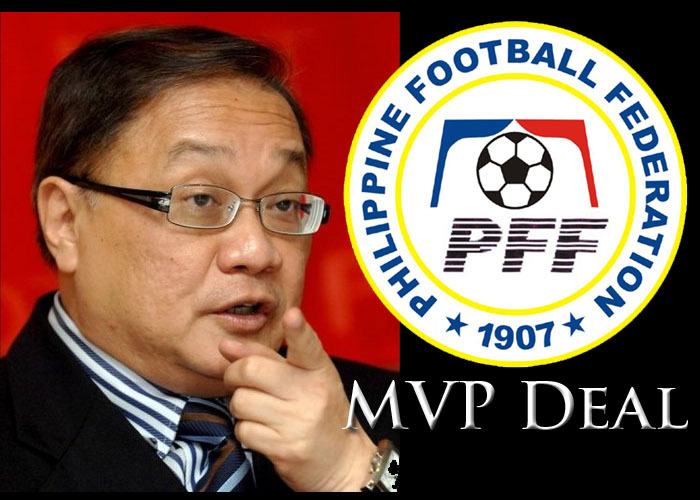 Let’s hope MVP does not make good his threat to forsake PH, for many of his projects are crucial to the nation’s life. I especially like the heavy investment of Metro Pacific Investments Corporation (MPIC) in Ph hospitals such as Makati Medical Center, Cardinal Santos Medical Center and Our Lady of Lourdes Hospital in Metro Manila, and in Riverside Medical Center in Bacolod and Davao Doctors Hospital in Mindanao, in order to upgrade them to world-class standards. MIPC is currently into talks with other hospitals. Another truly sad development involving MVP is his recent decision to cut clean from Ateneo University, which he has been supporting generously over the years, including its basketball team which is now orphaned. In his quit-letter to Ateneo President Jett Villarin, S.J. that caught school authorities by surprise, MVP said the University’s views on certain issues were “irreconcilable” with those of the business conglomerate he heads, and more importantly, "my convictions as a Filipino." The ultimate quarrel of MVP, who chairs Philex Mining, with the Ateneo revolves mainly on the school’s views on this controversial industry, as embodied in its position paper, titled “The Golden Mean in Mining: Talking Points,” written by the Society of Jesus Social Apostolate (SJSA). This paper seeks to identify for its members and organizations the “non-negotiables” in values and bottom-line positions that could serve as a guide to them. MVP obviously feels that the school he supports does not try to maintain a balanced position between the tremendous potential of the industry to contribute to the nation’s GNP, and its environmental and social costs. I get the same feeling too on the Ateneo stand, which seems to be shutting out this industry altogether. More on the mining issue next time. JPE-Trillanes open fight eclipses Miriam's abandonment of her Sec. 20 motion on two Cabinet members in grand CA moro-moro. A coup in progress vs. JPE? P-Noy should let go of controversial Puno---permanently. Ilocos farmers should explore raising high-value veggies for juicing, instead of fretting over lost tobacco market. Pope Benedict gambles personal safety in fabulous Lebanon visit. Recent news report said Sen. Miriam Defensor Santiago was mobbed at a book fair at Mall of Asia, with 600 people bursting into applause after her presence was announced as special guest. It was obviously the people’s favorable reaction to her much-publicized protest of the “snub” she received from Cabinet members and eight senators who all failed to show up at the committee hearing she called last Friday to investigate allegations of wrong-doing of resigned DILG Undersecretary Rico Puno (continuing jueteng, illegal and questionable gun contracts, etc.). The feisty Ilongga senadora grandly announced that she would invoke Sec. 20 in the powerful Commission on Appointments, against the snubbing Cabinet members whose confirmations are still pending; moreover, she said she would boycott Senate sessions in retaliation against her colleagues. The spontaneous applause for Miriam was reminiscent of the standing ovation she got at a performance of prima ballerina Lisa Macuja, soon after the impeachment trial of Chief Justice Renato Corona where she and two colleagues voted for him. In succeeding days she was also mobbed in supermarkets. These reactions can be read as protests of ordinary folks against excesses of the Aquino government, to which only Miriam seems to be standing up these days amid a pliant Congress. Of course, earlier today we saw how she eventually caved in and revoked her Sec. 20 motion against Secretaries Mar Roxas of DILG and Joseph Emilio Aguinaldo Abaya of DOTC, which led to their quick confirmation (had she not abandoned her Sec. 20 motion, President Noynoy would be forced to extend interim appointments to them). But by now we all know how politics works in this country with its imbedded pakikisama, moro-moro and grandstanding. Senate Majority Leader Tito Sotto earlier talked to Miriam who was quickly mollified in the case of Roxas and Abaya, though she still bristles at mention of Justice Secretary Leila de Lima and DENR Secretary Ramon Paje (whom she also summoned last Friday but didn’t show up). Vamos a ver. Malacanang obviously worked hard to render Miriam’s committee hearing inutile in investigating Rico Puno---with the no-show of the Cabinet members and all 10 senator-members, except for Koko Pimentel and Alan Peter Cayetano who rendered token presence. Contrast this earlier snub of the Puno hearing with the senators’ openness now to investigate the new scandal affecting the PDEA chief. As Star legal columnist Joe Sison puts it, what makes Puno so malakas? 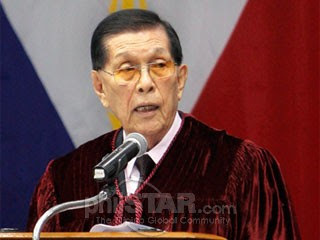 A week and a half ago, Senate President Juan Ponce Enrile himself floated rumors of an impending coup against him; the temptation at that time to connect that alleged plot to his judicious handling of the Puno hot potato couldn’t be ignored. But just as the Senate session today was winding up, JPE detonated a bomb in the form of an open accusation against Sen. Antonio Trillanes about the latter's alleged acting as spokesman for China---and against Ph interest---in the Scarborough conflict, and how his back-channeling in Beijing has worked to the detriment allegedly of our government. Trillanes accused JPE in turn of making public what he's not supposed to---the supposed confidential notes of Ambassador to Beijing Sonia Brady on Trillanes' back-channeling effort (she was taken ill in Beijing two months ago and there's speculation that this could have been due to the pressure of tiptoeing between the senator and the DFA?). Apparently there has been a simmering feud between JPE and his junior colleague for sometime now, with JPE critical of the latter's frequent presence in Palace security meetings on China. But what appears to have angered JPE today---bringing the feud out in the open---was Trillanes' allegation that JPE was pushing hard to accommodate Camarines Sur Rep. Luis Villafuerte, a frequent Senate visitor lobbying for the division of his province with the creation of Nueva Camarines. Even former President GMA's name was dragged when ABS-CBN commentators quoted Trillanes as alleging that GMA personally called up JPE earlier, to push CamSur's division (allegedly to accomodate her son Dato in the new district, thus averting a political battle with Gov. L-Ray Villafuerte). The allegation about GMA's call was denied by spokesperson Elena Horn. With the tension-filled name-calling and charges and counter-charges between the two senators, the picture's far from clear. Trillanes, who walked out as JPE began his rebuttal, was quoted as saying he's resigning from the majority, to join the minority. At this point, it's hard to say who's in the majority and who's in the minority in the Senate, but Trillanes, an NP, is quite close to P-Noy---who obviously gave him the authority to back-channel with China (no less than 16 times daw!) ---and he'll run for reelection under the LP coalition. I think we're staring at a coup in progress. Insiders say, however, that for the moment JPE has the majority's support. As political pundits noted, the controversial Rico Puno lied about his lack of jurisdiction over the PNP and being only coincidentally in Israel with a lead supplier of guns for the PNP, even before the purchase contract was signed. Then too, there was public uproar not only about his “lockdown” of the office of his boss, the late DILG Secretary Jesse Robredo, which to me is justifiable; what’s not is Puno’s mysterious visit to Robredo’s condo unit the day after the latter’s plane crashed into the sea off Masbate. If Puno were truly concerned about the safety of the condo, guards could have been posted outside. But there seemed a frenetic search for documents inside---which, in popular perception, tallies with rumors that at the time of his tragic death, Robredo was investigating some issues connected with his subordinate. When the hullaballoo over the condo search became too loud, however, President Aquino was forced to issue a statement from Vladivostok---where he was meeting with fellow APEC leaders---that he had authorized Puno to do all those things. But the way he has been protecting his KKK buddy since he assumed power (after the August 2010 Luneta hostage fiasco Puno got a mere slap on the wrist and was spirited away to the US for a while), P-Noy is acting like a trapo indeed. Reports say the Palace is looking for another post for his buddy, but if P-Noy were to ask Miriam’s fans, the best thing is to let this character go---permanently. With the tightening of screws on “sin taxes” on cigarettes and alcohol, there’s worry about how farmers from the tobacco-producing regions would survive. My humble suggestion is that the Ilocos farmers should be encouraged to cultivate high-value crops, the way they do in Misamis Oriental, Bukidnon, Tagaytay, Tanay and other places. I refer to high-value veggies, which so many people (including myself) now take in the form of juice daily for health. Every morning I take green apple, romain lettuce, celery, cucumber, broccoli, green bell pepper, singkamas, carrot, sugar beet, cauliflower and asparagus---all thrown into a juicer and one tall glass afterwards---before breakfast. I know so many people who have now taken to this healthy drink in one combination or another-- which explains why their prices have gone up. True, the Ilocos region may be unable to breed all these high-value crops due to climate, terrain etc. ; but surely the farmers there can cultivate some, and government should assist them with research. Instead of fretting over the loss of their traditional tobacco crop, they can switch to cultivating the healthier veggies, which will also help us juicing freaks with lower prices too. Last Sunday I watched the live coverage by Vatican Radio-TV over EWTN of the Holy Mass celebrated in the massive City Center Waterfront of Beirut, Lebanon, by Pope Benedict XVI with some 350,000 people in attendance--- Catholics, Christians of the Eastern Churches and of other faiths, including Muslims. It was a glorious day in Beirut and the Mass was a beautiful celebration of faith, life, hope and love for God and one another. "To serve justice and peace is extremely necessary in these troubled times," intoned Benedict, as he called for reconciliation and tolerance for one another, regardless of race or beliefs, throughout the Middle East---where violent protests and riots were exploding everywhere in protest of an obscure low-budget video denigrating Prophet Mohammad. It resulted in the death last Sept. 11 of the US ambassador to Libya and several other US personnel, and the virus of violence has spread toward Asia and our own country. In his three-day visit to Lebanon at the very time bloody riots were exploding in the ME, the 84-year old Pontiff took an enormous gamble in personal safety. But the unity and grace of that Mass in Beirut (attended by the Lebanese President who's a Maronite Christian, his wife and other dignitaries), filled with religious music rendered by five major Christian churches in Lebanon and prayers in various languages, doubtless had a great calming effect on the seething region. Violence subsided this week. The most significant part of Benedict's "Apostolic Exhortation" for the ME was his reminder to Christians of the various churches that Jesus Christ lived and died in this region---born in Bethlehem in Israel, lived as an infant in Egypt and travelled all over Galilee in His 33-year ministry. Thus, said Benedict, the ME "witnessed His actions and heard His words," adding that the "cedars of Lebanon" were continuously mentioned in the Bible. Of course, we know how St. Paul travelled all over the ME (struck by the bolt of conversion on his way to Damascus in Syria, now the scene of bitter civil war) and Asia Minor. Let's all pray that true peace descends on this holiest---but bloodiest---of regions and that its peoples learn to respect one another regardless of race or creed.